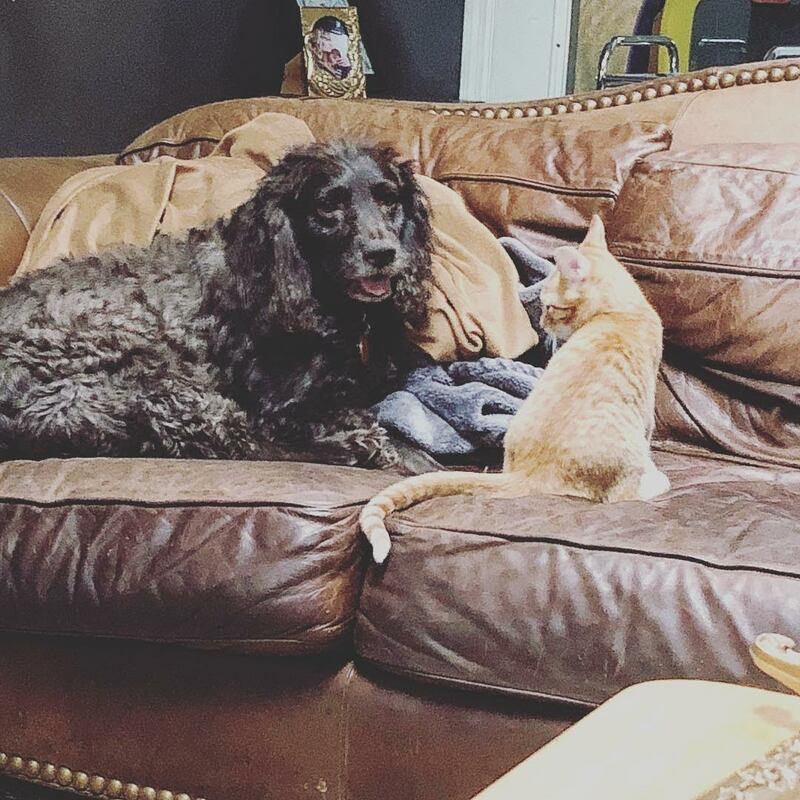 Edisto Success Story - Boykin Spaniel Rescue, Inc.
​Edisto is doing great. He loves his soon-to-be 7-year old human brother Sullivan; every morning when he hears Sully’s voice for the first time in the morning, he brings his toy out out and wags his tail until Sully joins him in the living room and pets him. Recently we adopted a kitten named Tybee so Edisto now has a feline brother also (picture of them attached)! After a rocky first couple of days, they now enjoy playing and particularly enjoy roughhousing right around the time we’re settling down to watch TV in the evening. Edisto loves life here in Mount Pleasant; walks along Shem Creek, hanging out at Muddy’s Creekside Bar, roaming around off-leash at Alhambra Hall, and taking walks at the Pitt Street Bridge. We recently got him tags so that we can take him to the beach at Sullivan’s Island. He loves the beach but is not yet a fan of the water despite his Boykin bloodlines! He’s still a bit of a nervous dog and barks when strangers visit the house, but he’s great with kids and other dogs. A few months back he had surgery for an intestinal blockage and scared the heck out of us, but he came through it fine and was back to his old self within a couple of weeks. We’re so fortunate that you all were able to help him find his way to us and we couldn’t imagine our family without him.